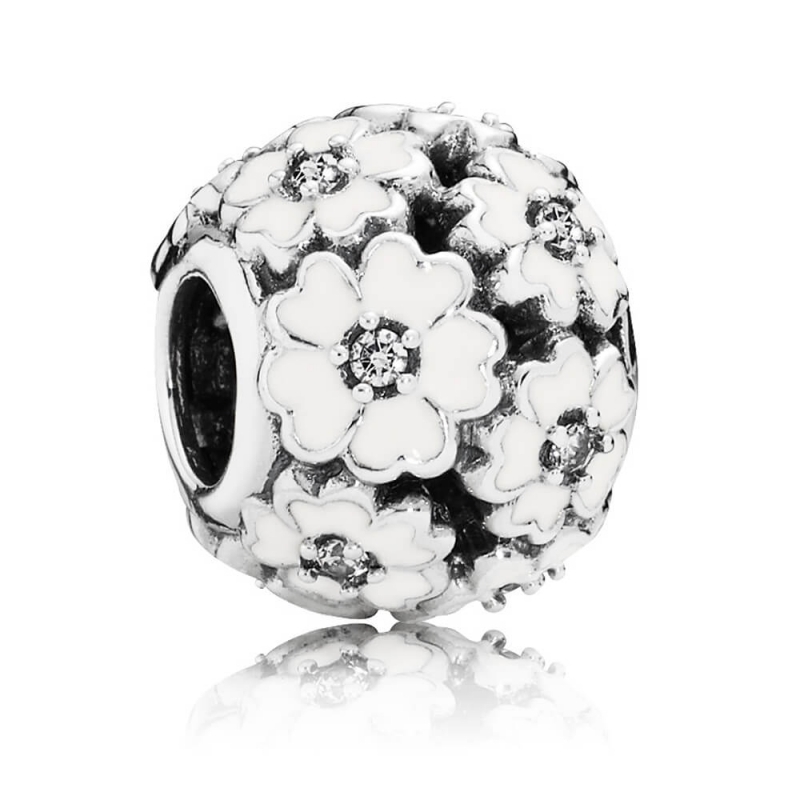 PANDORA White Primrose Meadow Charm 791488EN12. Made from sterling silver with 12 bead-set cubic zirconia and white hand-applied enamel. Presented in an official PANDORA presentation box including gift bag and ribbon.